Business Wire has posted the following press release from Nintendo titled "Nintendo 3DS Poised for Strong 2014 after Record-Setting Game Sales in 2013", confirming Yoshi's New Island release date in North America as March 14, as well as mentioning Professor Layton and the Azran Legacy releases on Feb. 28. More than 16 million combined packaged and digital Nintendo 3DS games were sold in 2013, an increase of more than 45 percent over 2012’s Nintendo 3DS game sales. The Nintendo 3DS family of portable systems, which also includes Nintendo 3DS XL and Nintendo 2DS, has crossed lifetime hardware sales of more than 11.5 million in the United States alone. Seven Nintendo 3DS games that launched in 2013 have a Metacritic score of 85 or higher, including two games at 90+ (The Legend of Zelda: A Link Between Worlds and Fire Emblem Awakening). Nintendo has great Nintendo 3DS games planned for early 2014 to keep the momentum going. 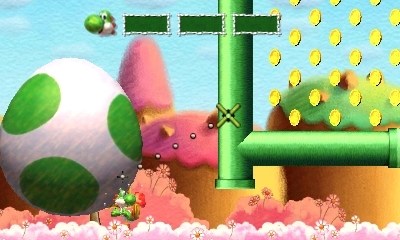 Yoshi’s New Island launches March 14 in stores and in the Nintendo eShop. The game is being produced by Takashi Tezuka, the creative director of the original Yoshi’s Island for Super NES. Yoshi reunites with Baby Mario in a gorgeous landscape to help him to safety. Flutter jumps, ground pounds and egg throws all return, along with some new actions that use the unique features of Nintendo 3DS. 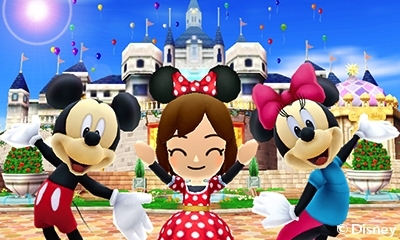 Disney Magical World is a new game featuring dozens of Disney characters in a variety of Disney-themed worlds. Players can customize their characters with hundreds of Disney-themed outfits and accessories, all while managing a café, planting crops and collecting Disney character cards. Players help different characters solve problems or find missing items. The game launches in stores and in the Nintendo eShop on April 11. A free demo of Square Enix’s amazing RPG Bravely Default is now available exclusively in the Nintendo eShop. The extensive demo features content not included in the main game, but players who purchase the full game can transfer some of their data. The full game launches in stores and in the Nintendo eShop on Feb. 7. Professor Layton and the Azran Legacy challenges players with more than 150 mind-bending puzzles. In this final installment in the second Professor Layton trilogy, players embark on a worldwide adventure in search of lost Azran artifacts. The game launches Feb. 28 in stores and in the Nintendo eShop. I can't buy new Layton until I finish old Layton! I need to get to work! Disney game, eh? I'm sure that'll be great. Whatevs. Bravely Default is nearly upon us, suckas! I'm curious about the Yoshi game too. Cautiously optimistic. Animal Crossing + Harvest Moon + Disney? Layton! I've played all five games in about a year. Can't wait! Yoshi is a day one purchase for me, no matter what, even if it scores terribly I will need to play it for myself. I might pick up Yoshi on Day One. I'm taking an initiative to not jump on games as fast as I might normally. In the grand scheme of things I know $40 or $60 isn't necessarily that much over the course of a year but I plan to move out of where I am now and into a place with my girlfriend so I want to save where I can. Donkey Kong Country Tropical Freeze is the first casualty of this plan. I can't wait to get it, but I'm going to make myself wait. I'll pick it up sometime this year. Yoshi's New Island... might be another one, but it's cheaper and I haven't played a game like it in longer than DKC. Perhaps I'll find a means to nab it.